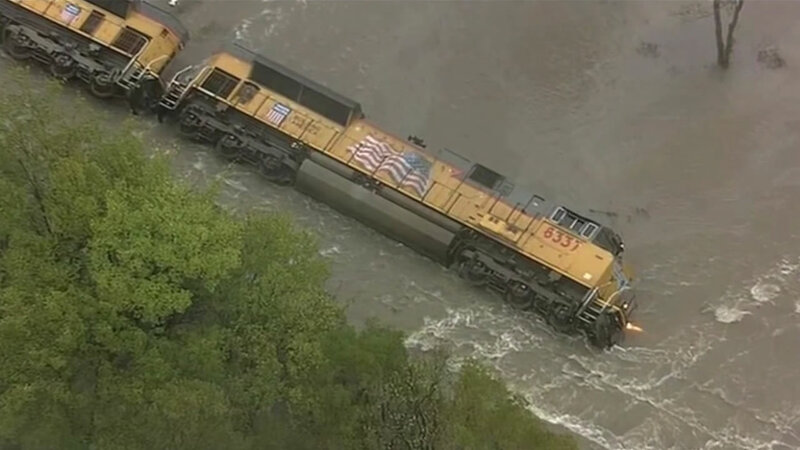 HOUSTON (KGO) -- A Union Pacific freight train has derailed in flooded North Texas after the tracks washed away. Two crew members who were on board escaped by swimming to safety. Union Pacific spokesman Jeff DeGraff (duh-GRAF') says the derailment happened overnight in an area 4 miles north of Corsicana. DeGraff says Chambers Creek was overflowing and washed out the tracks. He says one locomotive and several rail cars hauling loose gravel went into the water and were partly submerged. DeGraff says both crew members on board "swam to high ground" and were rescued by emergency responders. Nobody was hurt. DeGraff says the 64-car train was traveling from Midlothian to Houston. He had no immediate details on how many cars went off the tracks since the flooded area was not accessible to cleanup crews. Corsicana is 60 miles south of Dallas. 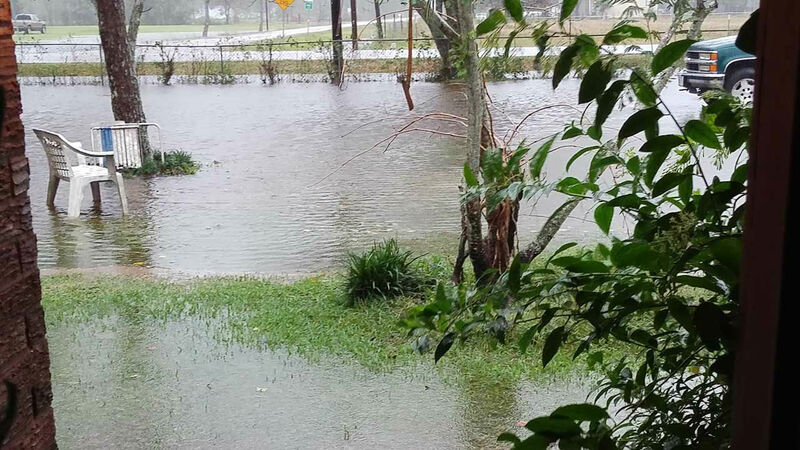 For full coverage of Hurricane Patricia, click here.